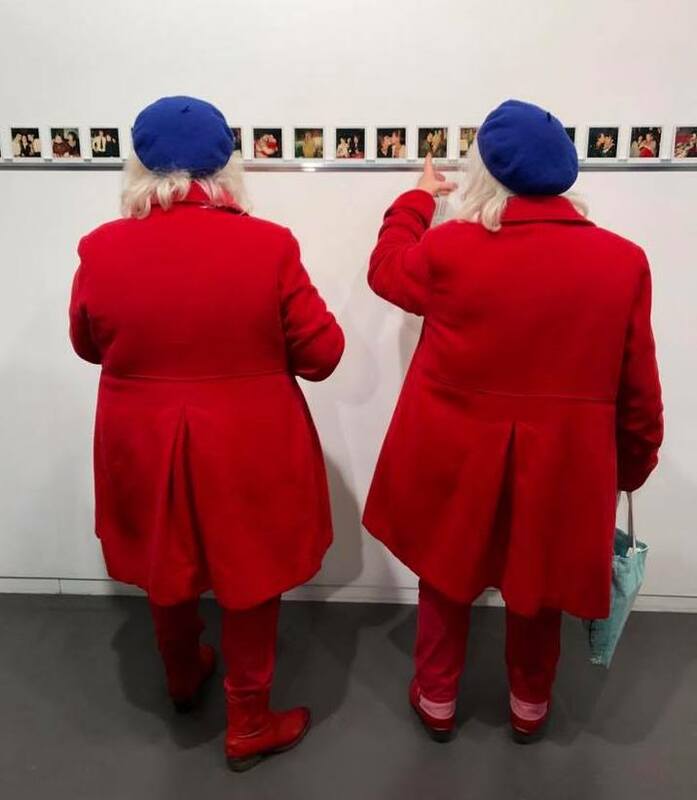 The famous Fokkens twins from the Red Light District at the opening of the Amsterdam Polaroids at the Stigter Van Doesburg Gallery. Photo by Jochem Bouwens. The exhibition of the Polaroid photographs taken by Bettie Ringma and Marc Miller in the bars of Amsterdam in 1979-1980 got plenty of attention when it opened at the Stigter Van Doesburg Gallery this past week. Here are some excerpts from English language press and a video of the opening ceremonies. Short video of the opening ceremonies (in both English and Dutch) of the Amsterdam Polaroids exhibition with Bettie Ringma, Marc Miller, Diana Stigter, David Van Doesburg, Manula Klerkx and Oscar van Gelderen. Footage courtesy of Erik Ekker.